In its second year, ILTM Asia Pacific is gearing up to be the international and Asia Pacific business event for the luxury travel industry. A business opportunity for suppliers and buyers of international luxury travel, ILTM Asia Pacific is an event that will span all sectors, offering new opportunities to engage with the big, the small, the hot spots and the independent experiences created for today’s affluent traveller from across Asia Pacific and around the world. 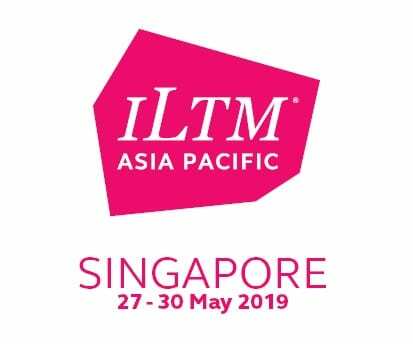 Set once again in Singapore, ILTM Asia Pacific will help shape the future, updating the industry with trends, research, and personalised content, shaped to support every guest with business opportunities throughout the event taking place from 27th – 30th May 2019. Approximately 550 luxury travel suppliers will form the guest list at ILTM Asia Pacific 2019, an Increase of around 10% year on year. Many new exhibitors are participating including Banwa Private Island in the Philippines, Makanyi Private Game Lodge in South Africa, Matetsi Victoria Falls in South Africa, Bahwah Reserve in Indonesia and the Ungasan Clifftop Resort in Bali. They join those returning to support their business objectives from the first edition last year including Rosewood Hotels & Resorts, Belmond, Kempinski Hotels, InterContinental Hotels, Four Seasons as well as destinations including Switzerland, New Zealand, Botswana, Japan and Singapore. Recent research by Allied Market Research highlights that Asia Pacific’s luxury travel market is showing the fastest international growth (expected to grow by 10% in 2018) owing to the rise in the number of middle-income groups. In addition, according to the latest Euromonitor report on ‘Megatrends Shaping the Future of Travel’, domestic trips in particular are booming across the region which is also driving the increase in average expenditure whilst travelling, which is expected to rise by 9%. An expanded hosted buyer programme at ILTM Asia Pacific will deliver new and returning planners and agencies who will engage with suppliers to create more than 30,000 one-to-one meetings during the show. Discerning buyers from Australia, Hong Kong, Japan, Malaysia, New Zealand, the Philippines, Singapore, South Korea and Taiwan are invited to explore new creative and seamless itineraries for their high net worth clients. The participant programme this year will support the ILTM theme of Health and Wellness with morning ILTM bay runs and morning yoga in the host hotels. ‘The Retreat’ will be a designated area of the show floor featuring brands showcasing some of the latest products and services in Health and Wellness. All ILTM guests will be given the opportunity to take a well-earned break from their busy appointment schedule to experience The Retreat. Posted in Bali. Tags: Bali.